Warde v Slater 2017 BCSC 274 contains a discussion about the various types of trusts in deciding who owned the beneficial interest in the shares of a family business. The decision quotes extensively from Waters on Trusts In Canada. The following passage from Waters at pp 394-395 is a useful comparison of the different kinds of trusts alleged. But essentially, while express trusts are those which come into existence because settlors have expressed their intention to that effect, constructive trusts arise not because of anyone’s expression of trust intent but because B ought to surrender property to A and this is the machinery the court employs in order to get B to do that. In between the express trust, a product of the settlor’s intention, and the constructive trust, a machinery imposed by law, are the implied trust and the resulting trust. The term “implied trust” is commonly used for two situations. The first occurs where the intention to create a trust is not clearly expressed, but has to be discovered from indirect and ambiguous language. This is all that distinguishes such an implied trust from the express trust. A second common use is where one person has gratuitously transferred his property to another, or paid for property and had the property put into another’s name. The intention of the transferor or purchaser is implied to be that the transferee is to hold the property on trust for the transferor or purchaser. The implication arises out of the fact that Equity assumes bargains, not gifts, and requires the donee to prove that a gift was intended. The term “resulting trust”, on the other hand, does not allude in any way to intention; it describes what happens to the property in question. It results or goes back to the person who, for reasons we shall examine, is entitled to call for the property. For example, because Equity does not assume gifts, the transferee holds title for the transferor or the one who provided the purchase money. 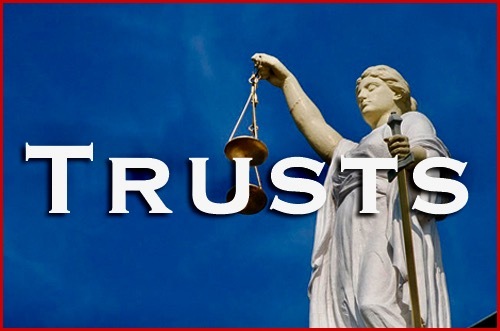 In other words, in this “implied trust” situation the beneficial interest results, or goes back, to the transferor or purchaser. . . .
Distinguishing the resulting trust from the constructive trust is also not easy because the lines have been blurred. Sometimes the same facts allow both a constructive trust theory and a resulting trust theory to be deployed. . . . There is even more overlap between resulting trusts and those constructive trusts which arise to reverse unjust enrichment. The reason is that both kinds of trusts typically perform the same function: they return property to the person from whom it came. In Fulton v. Gunn [2008 BCSC 1159] for example, an interest in land was acquired by a son using purchase money that came from his mother. It was held that this created a resulting trust for the benefit of the mother; and it was also held in the alternative that the son had been unjustly enriched at the expense of the mother, and so held the property on constructive trust for her. To the extent that resulting trusts are seen as arising by operation of law, they are really just a sub- species of constructive trust. The distinction between resulting and constructive trusts is perhaps best put in this way – while constructive trusts have nothing to do with intention, express or implied, resulting trusts can be explained either on the basis of intention or imposition of law. . . .
10 As Waters makes clear (see also pp. 19-21), the terms “express” and “implied” refer to the intention of the alleged settlor. Intention may also be relevant to a resulting trust, but is irrelevant to a constructive trust. A constructive trust is one constructed by the law to enforce an obligation. It arises out of unjust enrichment and “good conscience”: Waters at p 23; Petkus v Becker,  2 SCR 834. Thus, there can be only two sources of a trust obligation: the intention of a property owner to create a trust; or the imposition by the law of a trust obligation upon persons: Waters at p 478. 11 In my view, a resulting trust can be quickly eliminated from contention in this case. An essential characteristic is that the claimant, the would-be beneficiary, must have provided the property or equitable interest vested in the person bound by the trust: Waters at p 399. Neither Elaine nor Brian provided the property here in issue, the shares of (or proprietary interest in) Slatter Holdings, to Fern. If Fern holds that property in trust for either or both of Elaine or Brian, it must be because of an express or implied trust (intention), or because in the absence of such a trust, unjust enrichment and good conscience require that the law constructs a trust in order to enforce an obligation. This Court must consider all of the circumstances, including the words and conduct of Robert Elliott and Jean Elliott [the alleged settlors] to determine if certainty of intention exists. There is no need for any technical words or expressions for the creation of the trust. Equity is concerned with discovering the intention to create a trust; provided it can be established that the transferor had such an intention, a trust is set up. 14 This is so whether the intentional trust is created by the settlement of property upon a trustee, or by declaration by the owner of property of an intention to constitute himself or herself a trustee of that property. Again, it is not necessary that the donor use the words, “I declare myself a trustee”. Words of any kind and even conduct are sufficient provided it is satisfactorily shown that the donor did in fact intend to constitute himself or herself a trustee: Waters at p 204.